Become a very good – even life-changing – coach VERY Quickly. The secret is in the step-by-step Method AND the awesome coaching dialogues that you can use to create powerful coaching conversations starting with your very first session! You will be amazed at how good your coaching will be and how much your players – even your first few – will enjoy the experience. having a LOT of fun in the process. The class is like a 12 Week Adventure! 5) Then coach your “practice” players using everything you have learned. Hint: coaching is a profound personal relationship… so yes, there WILL be love. Learning this method is like learning to play a new musical instrument. First you need to learn how to play it… then over time you can play more and more challenging music… and eventually you can create your own music! 1) The first several times you will follow the method precisely like reading the music. Don’t worry… your players won’t even know you are following a guide. 2) Then with some practice you will be able to improvise with the various steps and concepts based on what your player needs in the moment. 3) Eventually you will develop your own signature coaching method upon a SOLID foundation. It is LOVED by all level of coaches because it is an amazing blend of strong foundation in the core basics of coaching AND totally cutting edge at the same time! And many of our graduates come back and do Play 2 Win every few years to go deeper and deeper into the concepts. The main difference is that master coaches get to the point of improvising very quickly while new coaches take more time to get there. That is it. 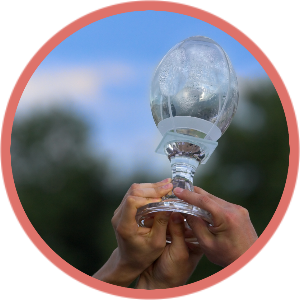 Learn a powerful nine step coaching method where you guide your player to design a winnable game (the quest), play better and win on their own terms. To: a player focused on getting results, becoming a great player and loving the game every day. By tapping into the spirit of play within, they can escape the industrial age perfection trap that makes it nearly impossible to try new things – a trap that has probably had them stuck for years. You will teach them how to enjoy playing again and play better through game planning, skills practice, inner freedom and designing a winning environment. when you are a life-changing coach? You can escape the industrial age perfection trap that makes it nearly impossible to try new things – a trap that has probably had you stuck for years. You will learn how to enjoy playing again and play better through game planning, skills practice, inner freedom and designing a winning environment. And naturally, you will do these things with everyone you coach! Engagement is the currency of the new economy! It is the THING every company and every community is yearning for. When you can “design the game” in any endeavor and then coach your players to play better, you have the key to engagement in business and in life! In the Industrial Age we were trained to minimize our activities to that which we could control. This way we can avoid mistakes and failure. As we move into the Connected Age we realize that control is mostly an illusion. There are no “right answers” to most life situations. So the game is to give up the illusion of control and instead play for positive influence. The definition of a game: any activity with an outcome that you can NOT control, but you can influence with your energy, creativity, strategy, skill and action. Big Breakthrough: Make failure an option! In the Industrial Age we were taught to avoid failure. Dictum’s like: “failure is not an option” and “do it right the first time or don’t do it at all”, ruled the day. While it is wise to avoid carelessness, if you play your day with the intention to avoid failure you have to keep your life really small. This is no way to live! When you are willing to fail, you are free to play; to create; to try new things; to go for bigger things; to take risks… to REALLY LIVE! Learning how to learn from failure is essential to becoming a great player in any endeavor! 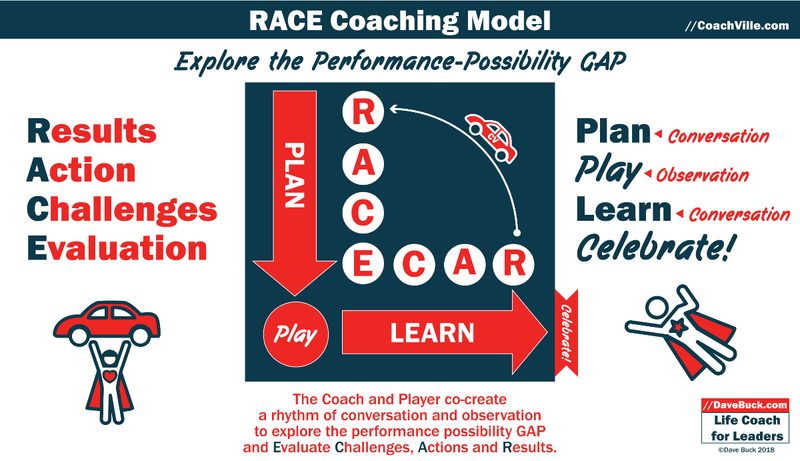 The REAL Coaching Model is at the core of the Play 2 Win Coaching Method. 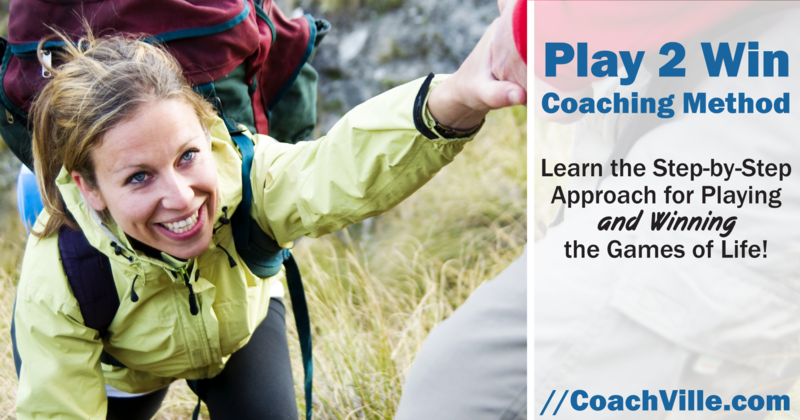 You will learn how to co-create “Observation – Conversation” loops which are essential to the experience of coaching. You will also learn how to design a game with your player based on the idea that the games of life are played by creating and relating. You will learn how to find the right balance between support and challenge; and between expertise and judgment-free awareness. 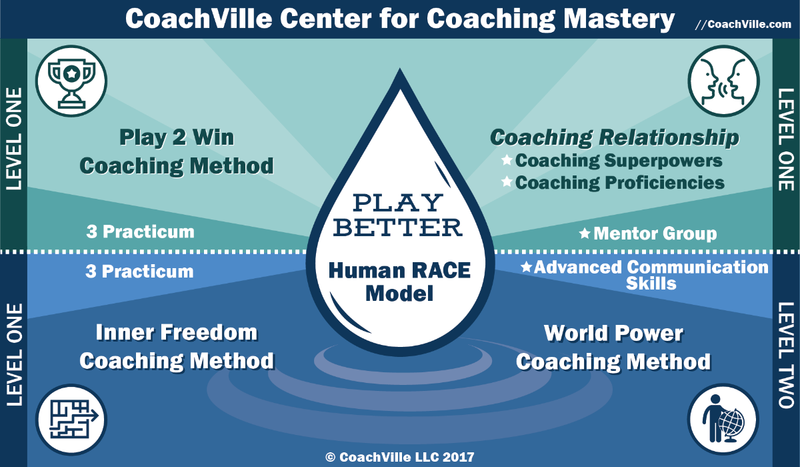 Learn the human RACE coaching model! 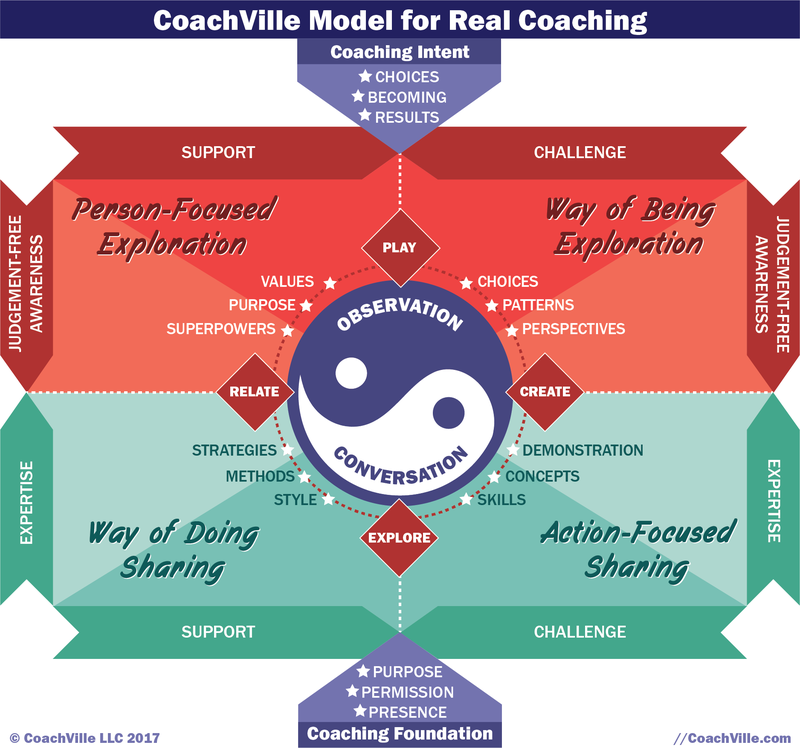 The human RACE coaching model is a powerful framework that you can use ANY coaching situation and ANY coaching conversation. We use it in ALL of our coach training programs. A result is anything that you cannot control, BUT you can influence with your strategy, skill, energy and attitude. New and better results is typically what players desire most when they have a coach. This is what the player will do in pursuit of the results they desire. Taking better actions (strategy) and getting better at actions (skill) is where you put a lot of your coaching attention. A challenge is anything that stands in the way of the player creating the results they desire. Some challenges are external, some are internal. Every challenge is a learning opportunity. And in game design theory, the challenges are what make the game worth playing. The player / coach process is to re-frame every challenge as FUN! This is where the player and coach step back and evaluate what happened “in the game”. After observation, the coach and player step into life-changing conversations and learn from everything that happened and everything they wanted to happen but didn’t. 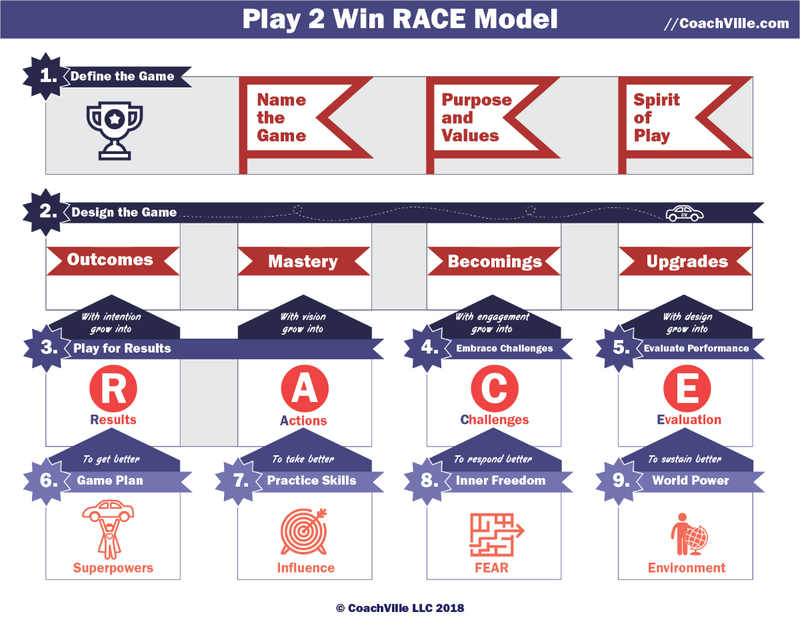 In the 12-week Play 2 Win Method program, we will use the RACE Model as the foundation and explore each of the 9-Steps. You will do the same with your practice players using a new Coaching Conversation Guide each week. HINT: many experienced coaches use this exact method to provide a powerful and transformational 12-week coaching program for their new clients. New clients (we call them “players”) tend to value a structured experience when they first hire a coach. you can apply your investment price to the purchase of the Starter Program or Complete Program! Give us a call to 866-548-6516 and ask for Deanna. As part of the Play Two Win Method Coaching class you will “listen in” on 12 provocative coaching conversations between Coach Dave and Player Josh of DownTown Pets. 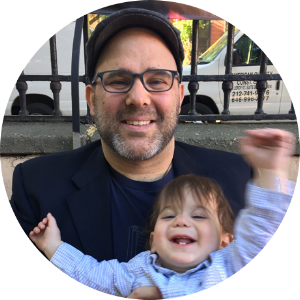 Josh is an inspiring successful entrepreneur who has set out to expand his thriving business by becoming a “Coach Approach” leader. 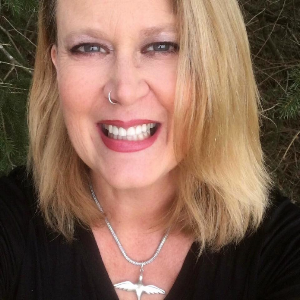 As you listen in on these sessions you will learn how to use the Play Two Win Method AND you will be inspired to become a Coach Approach Leader in your business or career. 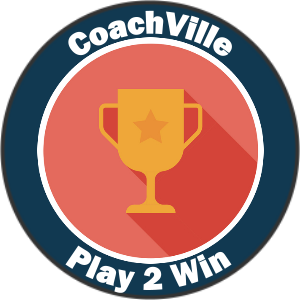 When you join CoachVille you will gain immediate access to the recording of session #1. AWESOME! You will dramatically increase your confidence because you have a reliable method that gets results. You will develop the ability to help your player craft an effective personalized game plan. You will develop the ability to create environments for sustainable results. You will learn the powerful distinctions between work and play – and you will discover how to PLAY in the serious games of life: like business, career, family and romance. You will learn how to outline the activities of any life or business game and identify the game plans, skills, sources of inner resistance and environments for each one. I have had great success using the Play Two Win method with my clients. I have found it so much easier to use than other vague coaching concepts / techniques. I am very happy, relieved and pleased that there is such a simple, straight forward method for getting started in coaching. I greatly enjoyed the discussion about coaching in the spirit of play. I also enjoyed discussing the difference between work and play and agree that most people don’t have enough joy in their day to day lives. I’m excited that coaching can address this! I loved the discussion about the difference between project management and coaching especially using the play to win model. I assumed that coaching was helping people figure out their tasks! But now I see that it is about figuring out who they want to become! I actually used this concept with one of my clients and we both had an “ah ha” moment which lead right into a BIG next step for her.